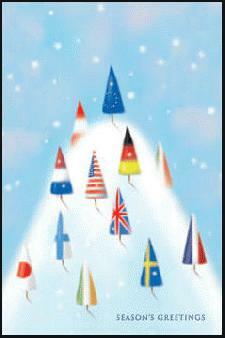 The time of carols and mince pies is nearly upon us, so why not send your customers our Customised Christmas Cards. Each of our Customised Christmas Cards come with your printed business details and company logo. So send a little advert with your seasons greeting this year upon our Customised Christmas Cards. Click to view our Customised Christmas Cards range. To find out more about our Customised Christmas Cards click here and fill in the contact form and we'll be in touch. Other promotional and personalised items besides our Customised Christmas Cards click here to view our entire range.